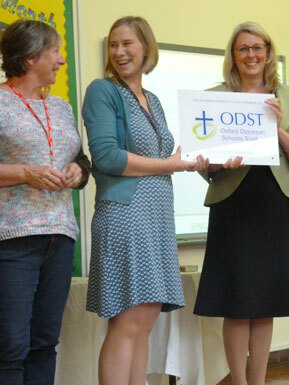 We are proud to be a Primary Academy within the Oxfordshire Diocesan Schools Trust (ODST). Ofsted Inspectors reviewed ODST in January 2019. You can find their report here. Our multi-academy trust Oxford Diocesan Schools Trust (ODST) has been recognised for its strong values, after becoming the first trust in the country to undergo Ofsted's new 'MAT Summary Evaluation'. ODST is a place where all are welcome; for both CofE schools and community schools, for staff and pupils of all faiths and none, where academic excellence abounds and where pupils and staff are enabled, valued and encouraged to become outward looking, resilient learners and professionals. As an ODST school we value the opportunity to work in meaningful partnership with other ODST schools, share best practice and support one another, thus working collaboratively to raise attainment and ensure as schools we get better together.